Perhaps you know him as Dr. Archie Morris from the television show, ER. If not an ER fan, you have seen him in other shows, miniseries, or movies, like Party of Five, Band of Brothers, or for cult classic movie fans, Critters. He is the voice of Steve Smith in the animated sitcom American Dad!, and as far as guest appearances, there have been hundreds, including Dexter, NCIS, Family Guy, Suits, Criminal Minds, Shameless, and Justified, to name just a few. 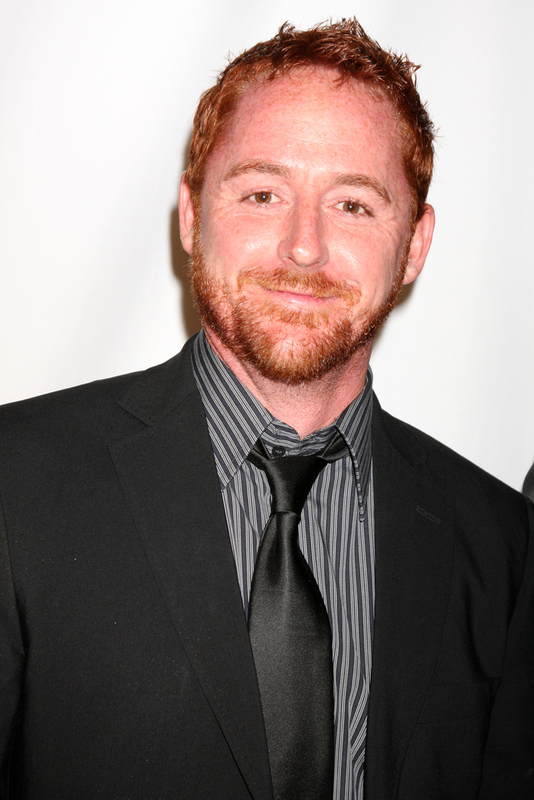 His name is Scott Grimes. He is an actor, voice artist, singer and songwriter, who has been performing since his teenage years. He was born in Lowell, Massachusetts and grew up in neighboring Dracut. From humble beginnings in suburban Massachusetts, he's been navigating a successful career in acting and voice talent, from Broadway to LA, to television, to the silver screen, and beyond. He comes across as humble, generous, and thoughtful, regularly visiting his hometown to do his part when it comes to raising money and awareness for important causes. To those who grew up with him, Scott is living proof that if you have huge dreams, and if you are willing to outwork, persevere, withstand constant judgment, and give back to communities and causes passionately, you will do more than just achieve your big, hairy, audacious dream, you'll create a magnificent legacy in the process. In addition to acting, Scott's other major passion in life is music. In 2005, after a 16 year hiatus, he released his second album, Livin On the Run, followed by a third album in 2010, Drive, both offering a collection of songs about his career, relationships, and his inner struggle to maintain strong personal relationships and balance in a life that requires constant jet setting, regularly changing jobs, and a lifestyle where he literally lives on the run. In 2006, he became a performing member of The Band From TV where he recurrently sings and performs with other actors, actresses, and movie stars, in the name of charity. This is where he met Bob Guiney, who catapulted to celebrity status as a contestant on Season 4 of The Bachelor and who has built a career hosting radio and television shows, including frequent appearances with Kathie Lee and Hoda on the Fourth Hour of The Today Show. Guiney and Grimes became such good friends that they spun off their own band, aptly named Guiney and Grimes, and together they tour the country in between work and life, to raise money for causes they are passionate about. Putting Yourself Out There: Grimes says he's extremely grateful that he gets paid to do what he loves, acting. He enjoys the process of becoming someone different in order to fuse the character he's playing into a storyline. Grimes says that he loves everything about his career, except perhaps the constant judgment. He says that acting is not a business for the faint of heart, because you must learn to put your heart and soul on the line constantly, knowing that there will be more times than not in which you are just not the right fit for the part. Grimes says that in acting, the first round of judgment comes each time you audition for a role. You get judged by the casting director and others involved in making the movie or show. He says that you can know with 100% certainty you were made for a role, but unfortunately what you know doesn't matter. How you are perceived by others is what does matter. Assuming you do get picked for the part, Grimes says the judgement isn't over, because once there's an audience it all starts again. Grimes says that Hollywood is a constant reminder that you are not as good as you might think you are. That being said, Grimes says that there's an enormous upside to exposing yourself and being vulnerable. He says that the constant judgment has made him stronger as a person and that he's learned to not take it personally when he's not chosen for a role. Further, Grimes says that the constant judgement by others has also made him into a better listener. He says that there's some truth to all criticism, and that if you can set aside your emotions and actually listen, there's sometimes an important lesson to be had. The greatest upside of all when it comes to putting yourself out there and being vulnerable, says Grimes, is that it helps keep you humble. Living life on the run, says Scott, comes with constant criticism, and so there's also a constant thirst for being near your roots, your home, and the people who love you regardless. Mentors: Scott believes that there's a reason certain people end up in your life. He says that people constantly offer each other lessons in business, life, and human behavior, simply by the way they go about living their lives. Scott says that any success he's had in acting and music are very much the result of mentors he's had along the way, most who never even realized how much they impacted him. He says, first, he lucked out by having a mother and father who were willing to let him audition for parts at a young age, and who were willing to uproot their lives when his first big gig, a Broadway show that became a sensational hit, required that he live in New York City. From there, they moved out to California so that he could continue to pursue his acting career. Lowell City Counselor, the late Grady Mulligan, was also one of Scott's original mentors, as someone who took Scott under his wing, opened doors, and gave him access to networks, with no motive other than to see Scott succeed at what he loved. As far as acting goes, Grimes says that his close friend, Russell Crowe, is someone he watches closely, learning new and better techniques to improve his craft. As to how to handle life in the public eye, Grimes says he has learned a great deal from Bob Hope, Hugh Jackman, and Tom Hanks, all of whom taught Grimes to remain humble and to find time to stop, listen, and talk to fans because fans are the customers without whom there would be no business for any of them. Grimes says that if you are going after big dreams in your life or business, step back and observe everyone around you closely, because there you will find some of the greatest lessons you must learn to become a better version of yourself. Lifelong Learning: When it comes to perfecting his craft as an actor, Grimes says that the best way to get better is to keep getting in front of cameras, on stages, and in front of people. He says that he is open to all kinds of diverse roles, because every role he has ever taken has, in its own way, offered him a new understanding of his art. Grimes says that his best work always comes when he's working outside of his comfort zone. This is one of the reasons why he still tours with his band, Guiney and Grimes. He says that he always feels nervous before a show, and by overcoming his anxiety each time, it makes it easier to overcome similar anxiety when he's acting. He says acting and music must typically be performed under pressure, in such a way that nobody ever sees even a hint of what's going on inside, and so pulling off a convincing performance is always the end game. Speaking of nerves, Grimes said that one of his most nerve-wracking performances happened just recently. He was playing Every Breath You Take by The Police during a live show, when he noticed that his friend, Russell Crowe, had come to the show with a friend, Sting. Grimes says that performing Sting's song for Sting was terrifying, but he did what he's been doing for 30 years, he pulled it together and performed like he had done it a thousand times before. Sting came up on stage after the song and told Grimes that his rendition was nothing short of amazing, making that evening a highlight in Grimes' music career. One Day Can Change Your Life: Grimes says that one of the most important lessons he's learned in his thirty year acting career is that everything can change in a day. He says that no matter what kind of business you are in, there will be bad days, and there will probably be long strings of bad days that seem to never end. He says that half the battle is just understanding that bad days can't last forever. If you hold on long enough, one morning you will get a call saying they need you to guest star on a new mini-series like Band of Brothers, or that they want to make an ongoing role for you on ER. Scott says that even when the going gets tough, he lives by the motto that one day can change everything, and he's always willing to wait one more day to find out if tomorrow's that day. As he explains in his song, Soon I Will be Found, off his 2010 Drive album, "A memory serves me and I long for yesterday. Don't know where I'm going, where I need to be today." Scott says that you don't necessarily need to know exactly where you are going or where you need to be right now to achieve all of your wildest dreams. What you do need however, is passion, vulnerability, a commitment to lifelong learning, a little bit of hope, and plenty of drive. He's Scott Grimes, and he's living on the run.